It's WAR! 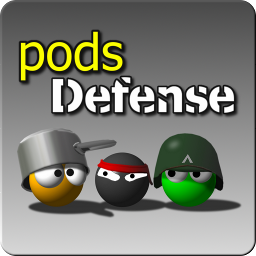 Podland has been invaded, and it's up to you to defend the Pods. Join the fight with Mo, Boris and Pip across the continent of Podland, facing ever increasing forces until the final showdown in Podtropolis! It's WAR! Podland has been invaded, and it's up to you to defend the Pods. Join the fight with Mo, Boris and Pip across the continent of Podland, facing ever increasing forces until the final showdown in Podtropolis! This is the free trial version. The Pods are taking up tennis! Play as your favourite Pod in your venue of choice. This is the free, ad-supported version. For more venues and access to the 'Career Mode' try the full ad-free version! The Pods are taking up tennis! 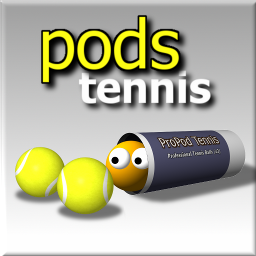 Join in the worlds top tennis tournaments and develop your favourite Pod's skills through a full career! Are you quick enough to pull off the new 'Power Shot'!? Guide the Pods to safety through increasingly complex levels, using platforms, trampolines and 'Pod Activated Dynamite'! Can you achieve the impossible and save every Pod on every level? Guide the Pods to safety through increasingly complex levels, using platforms, trampolines and 'Pod Activated Dynamite'! This is the free, ad-supported version of Pods.